IBSPoint Mailing List is a one-way email announcement delivery system. It is great for newsletters, publicity lists, notifications, and many other uses. The Web Interface lets you write and send messages, and manage mailing list over the internet. mailing list keeps sending messages from your web server, even after you shut down your computer. 100 000 + subscribers. mailing list is designed to manage mailing lists with hundreds of thousands of subscribers. mailing list is excellent with smaller lists too! No duplicate messages. No ‘forgotten’ messages. mailing list manages message delivery with a message queue, ensuring that every subscriber gets the email message, and that no subscribers receive two copies, even if they’re subscribed to more than one list! Multiple Templates on different subscribe pages can integrate mailing list with several different web sites. User Specific Content. You can use Subscriber Attributes in message content to make each and every email message personalized with the subscribers name, country, or any other attribute. The HTML Editor allows you to edit html messages from mailing list using FCKeditor. TinyMCE is also available. Internationalization. mailing list is available in English, French, German, Spanish, Portuguese, Traditional Chinese, Dutch, Vietname and Japanese and translation work is in progress for other languages. Easy Install via Fantastico, FTP upload, or SSH. Multiple List Administrators. The super-admin can assign lists to List Managers, who can manage their users and lists. The super-admin user can ‘prepare’ messages that can be sent by list managers to their lists. Subscriber Preferences. Every email message contains personalized URLs for subscribers to update their preferences or unsubscribe. Subscribers can update their own information and keep your database up to date. Unlike most other mailing list managers, in mailing list subscribers can change their email address. The User Management tools are excellent to manage and maintain large databases of subscribers. Advanced Bounce handling let’s you teach mailing list to distinguish between permanent and temporary message-delivery errors. You can define automated actions on receipt of bounce messages according to matches with your regular expressions. CSV Import and Export. Use CSV and tab delimited files to import your existing list of users or to export the users on the mailing list system for use in your in-house database. mailing list’s database has a ‘foreign key’ to help keep multiple copies of databases synchronized without duplicating users. Send a Web page. Tell mailing list the URL of a web page you want to send to your users, and mailing list will fetch it and send it. You can even put subscriber-specific parameters in the URL. Scheduled Sending let’s you tell mailing list when the message is to be sent. Text from HTML. 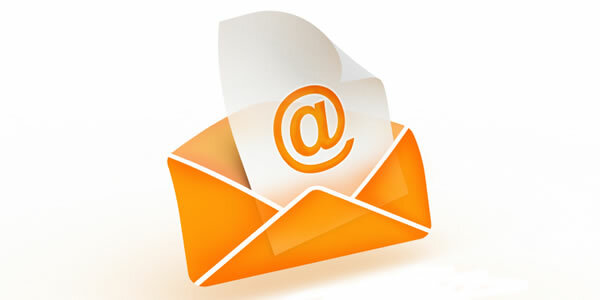 Text email messages are managed fluently in mailing list. mailing list will automatically create a text version of an html message. Optionally the message composer can create it manually. Integration with other tools. Several systems exist on the internet that integrate mailing list with your favourite CMS or blogging tool. Knowledge Consulting is a leader in provided learning development, recruitment and business consulting services in Kuwait. Knowledge Consulting chose IBSPoint for all their Internet Business needs including the design and development of their web site, email solution, emarketing needs, and Virtual server hosting at IBSPoiont world class data center.